STREAM Girls gives Girl Scouts the opportunity to earn a patch and work on badges as they serve as citizen scientists, anglers, and artists, in order to build an appreciation for watershed conservation and the environment. This outdoor watershed experience employs STEM-based education (science, technology, engineering, math), recreation, and arts to explore a local stream. Every person is a citizen of her watershed, and Trout Unlimited (TU) has partnered with Girl Scouts USA so that girls will get the complete picture of what their stream could mean to them. Over the course of two days, the Allegheny Land Trust Environmental Education Team and TU volunteers will lead the Girl Scouts in observing a stream, collecting flow data, sampling macroinvertebrates (aka aquatic bugs), fly tying, and fly-casting. 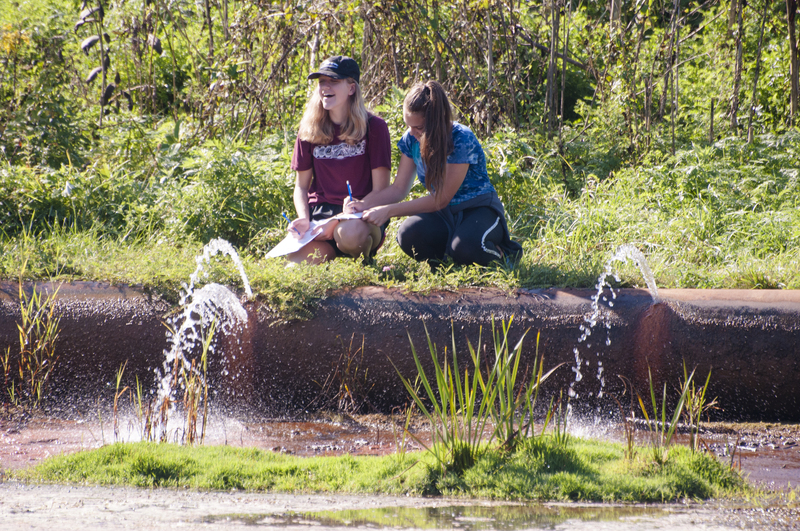 Each day also gives the girls time to explore the natural area and record their thoughts and observations in their handbooks. Participating girls will earn a STREAM Girls and an Allegheny Land Trust patch, a Water Exploration Pack (valued at $50), lunch both days, and a chance to explore the Big Sewickley Creek Watershed Awareness Festival. Parents are encouraged to join their daughters on the second day for family fishing (no license required) and the watershed festival. All materials will be supplied and no prior knowledge is necessary. Registration and attendance at both days is required.